CAVATINA promotes about 50 concerts a year in schools and public venues. These interactive concerts bring chamber music to young people in an accessible way, giving them a taste of some of the most beautiful music in the world, played by professional groups of the highest quality. Enjoyment of all music is increased by recognition and repetition. 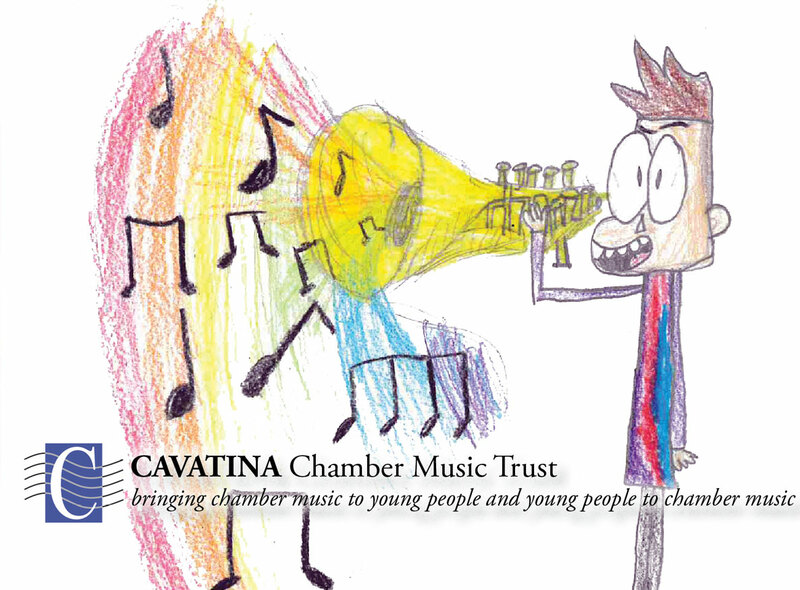 With this in mind CAVATINA encourages staff and parents to take young people to concerts in public venues (hundreds of which young people can attend free), to listen to CDs, BBC Radio 3, and to encourage listening skills at all times. When visiting a school, we expect the whole-hearted support and participation of the Head Teacher and staff. Many schools with enthusiastic Head Teachers receive an annual visit from a CAVATINA ensemble. The presence of the Head is essential for future visits. The programmes are structured for maximum interactivity. The ensembles working for us are carefully selected for their ability to interact with young audiences and are happy to receive feedback and suggestions from teachers. Feedback from the children, giving their reactions to the concert in the form of drawings and/or words, is a very important feature of these visits. Once a year, the best individual entry is chosen as the CAVATINA Postcard of the Year. Details of the winning child and school are displayed on the postcard. The school receives a number of postcards for distribution and the winner receives a special prize. CAVATINA concerts are free for state schools, whilst independent schools are asked to cover half the performers' fees. We ask all schools to cover travel expenses incurred if the ensemble is required to travel a significant distance beyond its base.